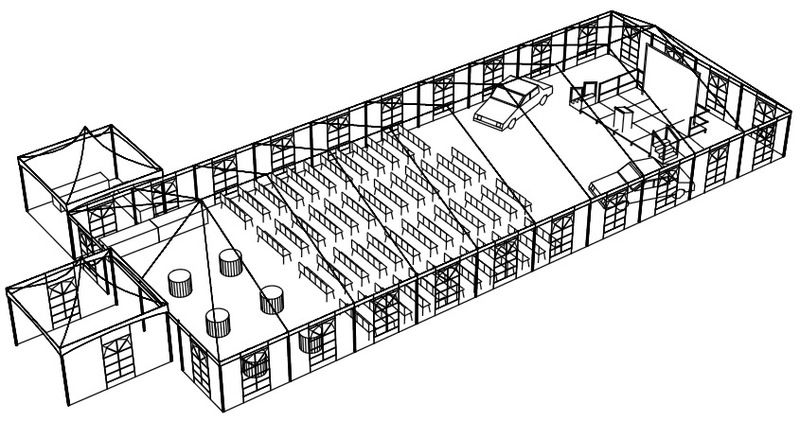 Sample layout CAD drawing of local charity event. 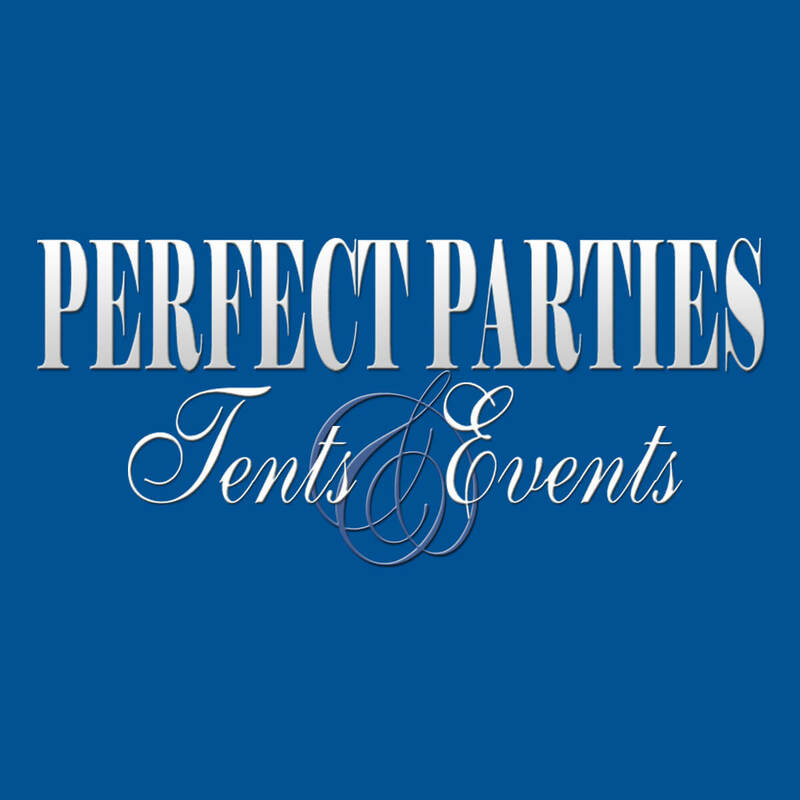 At Perfect Parties Tents & Events we understand the importance of your event. It is our goal to exceed your expectations. Our consulting staff has a combined experience level of over 30 years in the event planning business. 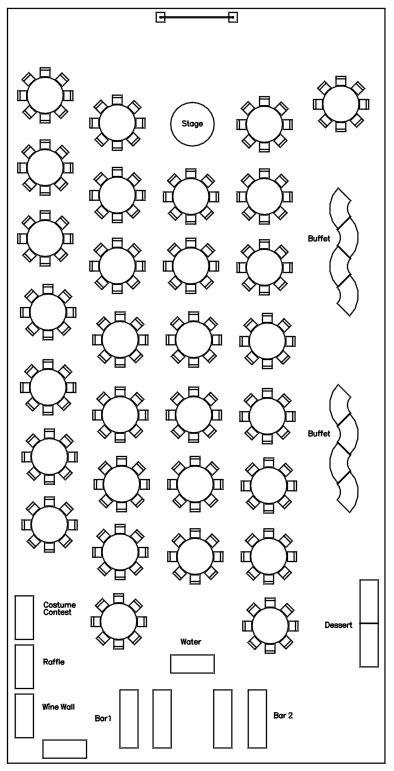 In addition to well maintained event equipment, we offer value added services, such as a computer aided design for your event with all items true to scale so that spacing for tables, chairs, dance floors and other needs are perfect so there is no “day of” problems to deal with. In addition, having produced the annual Bloomington Bridal Show for over 20 years has given us the opportunity to develop strong relationships with over 60 of the area’s finest service providers in the special events market. We take pride in our close working relationships with the best the area has to offer and can give you insight on who best would fit your needs based on your budget and personal taste. Click Vendors to view a listing of the many companies we have enjoyed working with and endorse. At Perfect Parties Tents and Events we are more than an equipment rental provider. We consider ourselves an event solutions company. Please take advantage of our “plan your event” page. It is a wonderful opportunity to begin the process of creating a useful foundation for the planning of your event. To begin the process please click the categories on the left of this page to look at all of the items we offer to serve and enhance your event. As you select these items they will be added to your shopping cart. Once you have selected the items you need just click “check out” and you will be taken to our finish page where you can fill out the customer information field and e-mail us a copy. When we have received the “tentative reservation” we will contact you to complete the process or invite you to visit our showroom. In our event showroom, you will be able to see, touch and feel everything associated with your wedding or event. Please note that you are under no obligation at this point and the reservation is not complete until we confirm availability and secure a deposit for the requested items. So let the planning begin. We look forward to seeing you soon.